The basic principle outlined in the second part of this quotation is this: Only Catholics may receive holy Communion, and Catholics who do receive holy Communion must be properly disposed. The reason for this should be obvious to those who truly appreciate the significance of the Eucharist. In Communion, we receive the very body and blood, soul and divinity of Jesus Christ. Not only is it an intimate encounter with Christ, but Holy Communion deepens unity with the Church, more fully assimilating us into Christ. Therefore Holy Communion is not something to be taken lightly. It should always be considered a great and holy privilege, and we must ensure that we are properly disposed. Such a strict regiment was not the invention of the early theologians of the Church. It is a fruit of systematic reflection of scripture. In the New Testament, St. Paul reminded Christians about proper reverence in receiving the Body of Christ: “Whoever, therefore, eats the bread or drinks the cup of the Lord in an unworthy manner will be guilty of profaning the body and blood of the Lord. Let a man examine himself..” (1 Cor 11:27-28). For Catholics, communion is not just an act of worship but also an ecclesiological act. Our reception of communion is ontological – we receive communion because we are in communion. Full communion should never be regarded as a trivial desire to be together, but rather involves completeness of "those bonds of communion – faith, sacraments and pastoral governance – traditionally known as Creed, Cult and Code – as outlined by St Justin Martyr. For Catholics to participate in such communion without establishing these bonds would be self-deception and hypocritical. It trivialises the very act of receiving communion and reduces it to a purely symbolic and instrumental ritual. Likewise, when we formally refuse to accept the Church’s proper authority to teach, rule and sanctify – her doctrinal inerrancy, her spiritual jurisdiction and her sacramental power - these rejections separate us from the body of the Church. To some people, I am sure, these restrictions seem harsh and unnecessary, anachronistic to say the least, and a violation of the ecumenical spirit of our age. The question is, "Why are there so many restrictions about receiving Holy Communion if people are of goodwill and the Eucharist is so helpful for us?" “If Protestants allow other Christians to receive their communion, why can’t we be more hospitable?” These are certainly legitimate questions, motivated by good intentions. But good intentions are never sufficient reason to allow open communion. The reasons are more subtle than that. 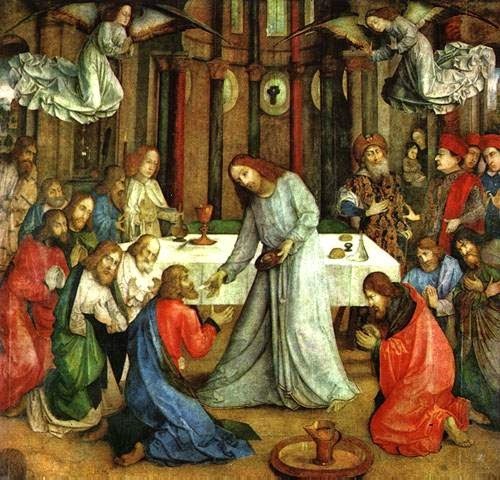 The first reason, as I have already pointed out, is that the reception of holy Communion is not just an expression of belief in the Lord Jesus Christ but also an indication of membership, "communion," in the Church, the Church where its members visibly share "oneness of faith, life and worship." Unity among Christians is not yet complete, and the reception of Holy Communion by other Christians ignores this reality. The second reason is that the reception of Holy Communion in a Catholic Church presumes Catholic belief about the Eucharist, in the doctrine of transubstantiation and that the mass is a veritable sharing in the sacrifice of Calvary, doctrines rejected by other Christians. While the motivation for inviting everyone to Holy Communion might seem to be "ecumenical," in the long run the practice does more harm than good to authentic ecumenical relationships. The most detrimental thing is to use the Eucharist as a ‘tool’, a functional means, to make friends, trivialising its value and relegating it to a superficial coffee house or mamak stall ‘fellowship.’ It is also detrimental to Christian unity to just "white wash" our differences with others and sweep it all under the carpet as if such differences were insignificant. Unity based on a whitewashing of differences, according to Pope Benedict, is a facade and only stalls fruitful dialogue. Pretending that there are no differences and by resting on the lowest common denominator of the faith is to pander to false and promiscuous union. Returning to the question of proper disposition, how do we properly dispose ourselves? First, you must be in a state of grace. In other words, you must not be in a state of serious, grave or mortal sin. To receive the Eucharist without sanctifying grace in your soul profanes the Eucharist in the most grievous manner. The Didache, an early Christian document written around A.D. 70, which states: "Whosoever is holy (that is in a state of sanctifying grace), let him approach. Whosoever is not, let him repent" (Didache 10). The requirement of being in a state of grace leads us to the second point. You must have been to confession since your last serious sin. The 1983 Code of Canon Law clarifies this point: "A person who is conscious of a grave sin is not to . . . receive the body of the Lord without prior sacramental confession unless a grave reason is present and there is no opportunity of confessing; in this case the person is to be mindful of the obligation to make an act of perfect contrition, including the intention of confessing as soon as possible" (CIC 916). Fourth, you must observe the Eucharistic fast. Canon law states, "One who is to receive the most Holy Eucharist is to abstain from any food or drink, with the exception only of water and medicine, for at least the period of one hour before Holy Communion" (CIC 919 §1). Note that the law says before Communion, not before the beginning of Mass. So, one hour isn’t very long. Elderly people, those who are ill are excused (CIC 191 §3). The Eucharist, the source and summit of our Christian life, continues to be a spiritual magnet that draws people to experience the riches of our Catholic faith. But we must never forget that the issue of communion hinges upon our proper disposition and further on our Catholic understanding of Church- Eucharistic communion is inseparably linked to full Ecclesial communion and its visible expression. We receive communion because we are in communion. Anything less would be hypocrisy and a lie.